Many approaches to health care look at only treating the symptoms that are related to these diseases and conditions. Very few health care methods look at improving the body’s adaptation to stress; in other words, improving the body’s ability to handle stress better. This is where chiropractic comes in. Chiropractic is so unique in that it helps to restore balance and function the brain and nervous system. How? By removing interference on the nervous system. This interference is caused by spinal misalignments (subluxations). The nervous system is hindered in its optimal ability to perform bodily functions, healing, and repair when the spine is misaligned. Chiropractic works to correct spinal misalignments. This helps to stimulate activity in the brain and improvement in nerve flow throughout the body. The result is a cascade of physiologic changes that lead to pain relief, improved mobility, tissue healing, and as well, recovery from the body’s stress response. This month, April, we are focusing on reaching out to and helping people who are stressed. If anyone you know is stressed now or has been chronically stress for months and / or years, tell them about chiropractic care. For anyone that is chronically stressed, chiropractic may be the missing piece to their health care solution. More than this, chiropractic can help their bodies return to a normal state of balance. The result can be a better ability to handle and adapt to stress. 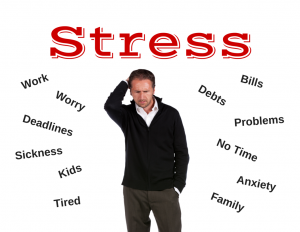 Stress … How Are You Coping? This entry was posted on Friday, April 1st, 2016 at 12:00 am	and is filed under Chiropractic, City Vaughan chiropractic clinic, Dr. Walter Salubro, Stress, Town of Maple chiropractic clinic, Wellness.